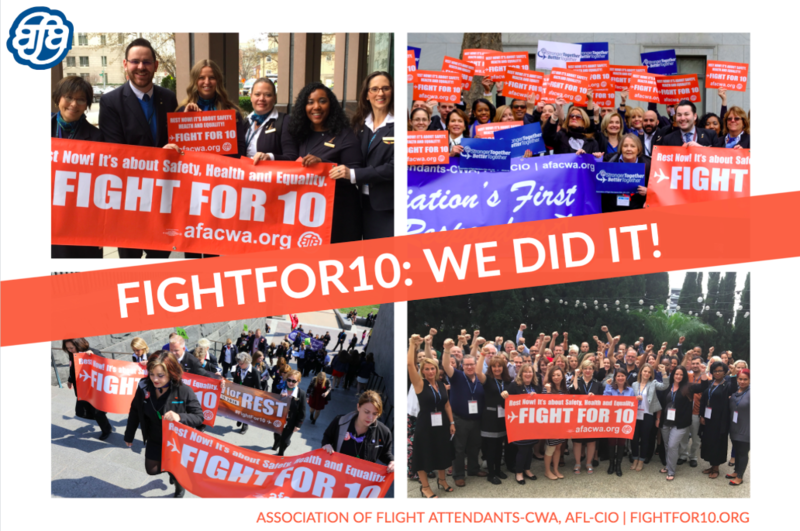 We won the #FightFor10! 8 hours becomes 10 hours rest! 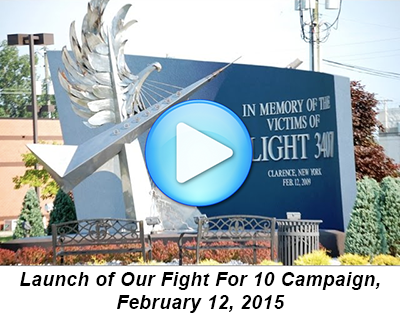 On October 5, 2018, the FAA Reauthorization Act of 2018 became law. 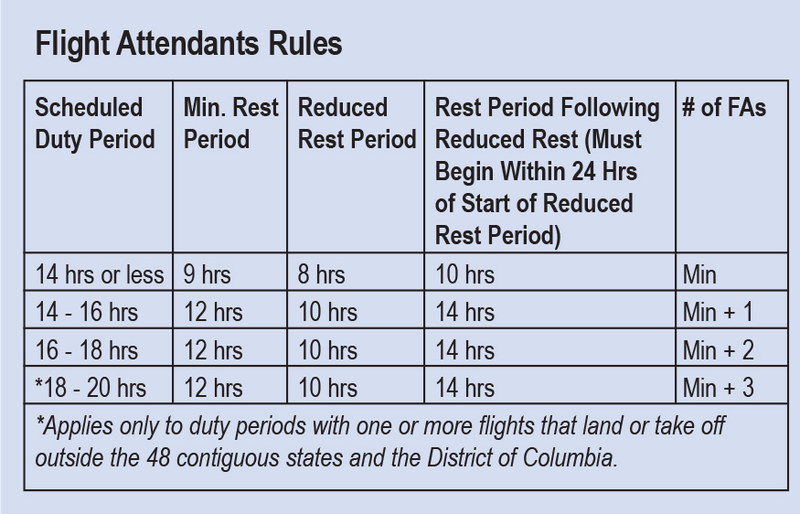 The Secretary of the Department of Transportation now has 30 days to change the federal rest rules for Flight Attendants. The new rest rules is: 10 hours free from duty and it cannot be reduced for any reason. AFA will update Flight Attendants as the implementation process moves forward. 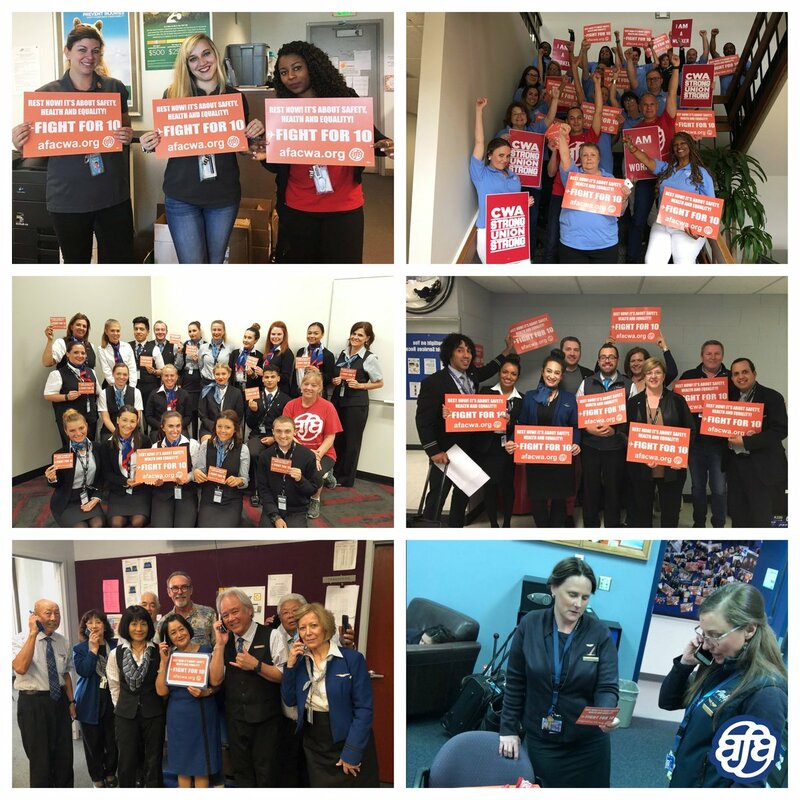 Flight Attendants are entrusted with the safety, health, and security of our passengers on a daily basis. Studies commissioned by Congress make it clear that more rest should be mandated for Flight Attendants to combat fatigue. Current federal regulation "rest" rules provide only 8 hours after a 14 hour day. But that "rest" time includes passenger deplaning, travel to and check in at our hotel, preparing for the next day, travel back to the airport, transiting security, crew briefing and safety checks, passenger boarding and finally the aircraft release from the gate. This likely means 4-5 hours of sleep before another long day, if all else goes well.